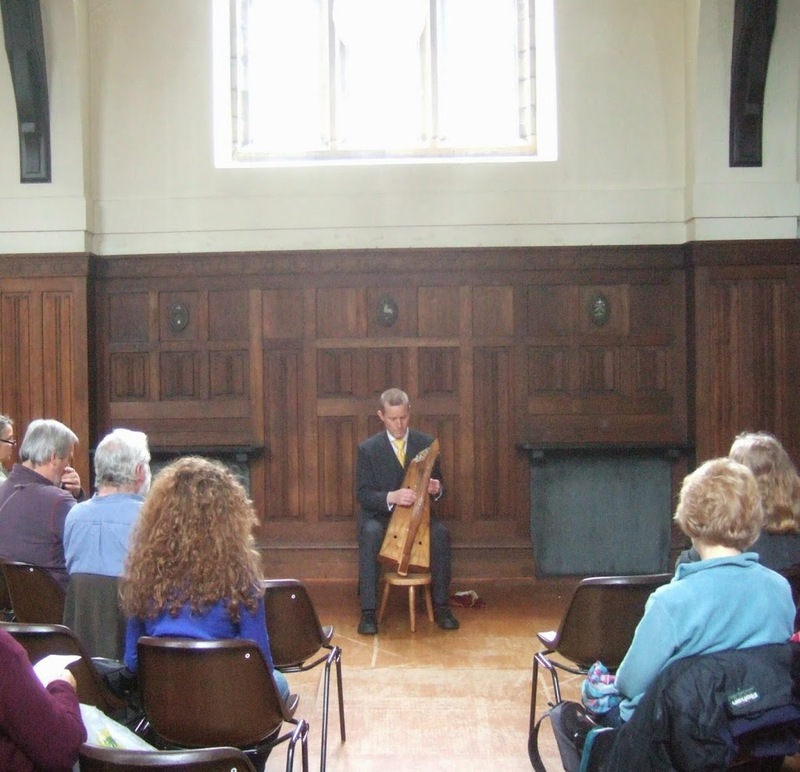 Today was the first in my series of lunchtime harp concerts in St Andrews. This is the first year that we have not been running these in the Cathedral ruins so I was apprehensive both about the new venue, and how many people would come. In the end the venue was wonderful. All Saints church hall is a very atmospheric place, with lovely carved oak panelled walls decorated with painted wooden plaques, and big high arched windows letting the light from the sky stream in. 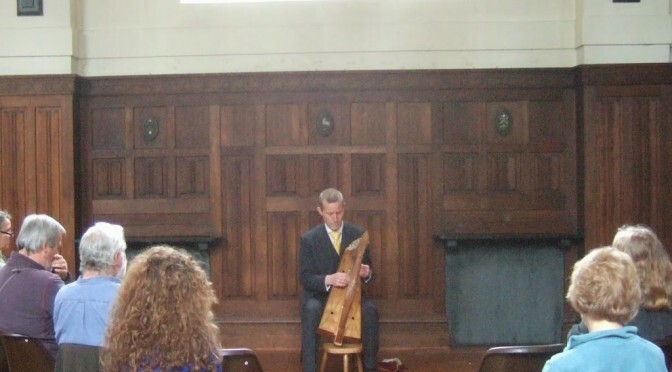 The acoustics of the room are very nice for the harp as well. Turnout was modest, but no less than we used to get at the cathedral for the first event of the season. I played Cogadh no Sith, an epic half-hour pibroch. People were entranced; more than one commented that it felt like a lot less than half an hour, how they were “sucked in” to the music. I’m looking forward to the next in the series on 2nd July already!